The RSAE Labs Inc. has greatly enhanced its Yard Management Solution (VMS) by infusing new technology called “mist® mesh” to enhance logistics business processes through faster responses based on improved asset visibility. mist ® VMS meets the challenges of global logistics management, and at the same time affords significant cost-savings. Global logistics of the future requires continuous, nearreal – time, global Total Asset Visibility (TAV) of vital supplies, unit equipment and personnel. A global, reliable, mobile, versatile, integrated, wireless Automatic Identification Technology (AIT) network, like that provided by mist® VMS, is essential to attaining the desired endstate of TAV. The battery-powered AIT often deployed today, called “active radio frequency identification (RFID),” is 1980’s technology that provides visibility of tagged assets only through “sightings” at nodes and choke points where reader-transponders are installed or where soldiers or contractors “walk the line” with handhelds. It is costly, requires extensive manpower to support to install, operate, and maintain, and is notoriously power-inefficient. location of assets at any time in a depot, storage yard or maintenance area. The primary mist® VMS function is to collect identification and positioning data on a central server for use by logistics personnel. The system includes Fixed Mesh Gateways (FMGs), Managed Asset Tags with Global Positioning System Receivers (MAT-GPS) and a Device Management Center (DMC) server set. 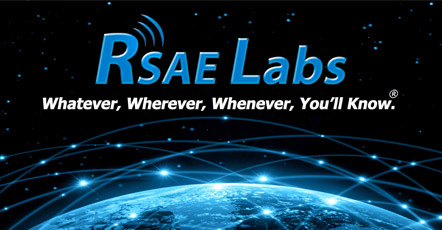 RSAE Labs Inc. has developed and begun deploying mist ® VMS, an information assured, edge network to the internet to provide near-real-time visibility of tagged assets, enabling end-to-end asset visibility and in transit visibility from strategic nodes, through all intermediate nodes, into the last tactical mile in direct support to global operations. Current methods of attaining some level of visibility of assets leave significant gaps throughout the pipeline. Further, these methods are manpower intensive, costly when compared to the benefit they derive, and offer little usability at the management and local-labor level. Finally, the current battery-powered AIT (active RFID) deployed today is 1980’s industrial age technology that provides only nodal, chokepoint visibility of tagged assets. This current AIT infrastructure is very costly, requires extensive contractor support to install and maintain, and was designed in a closed proprietary architecture (e.g., Savi tags). The mist ® mesh network breaks that mold, providing information-age, information assurance compliant wireless mesh network that will support a wide range of logistics applications and save significant money. The mist ® mesh network will enable continuous contact with tagged assets while also providing platform/asset monitoring through the integration of sensors, realizing the concepts for Sense and Respond Logistics.